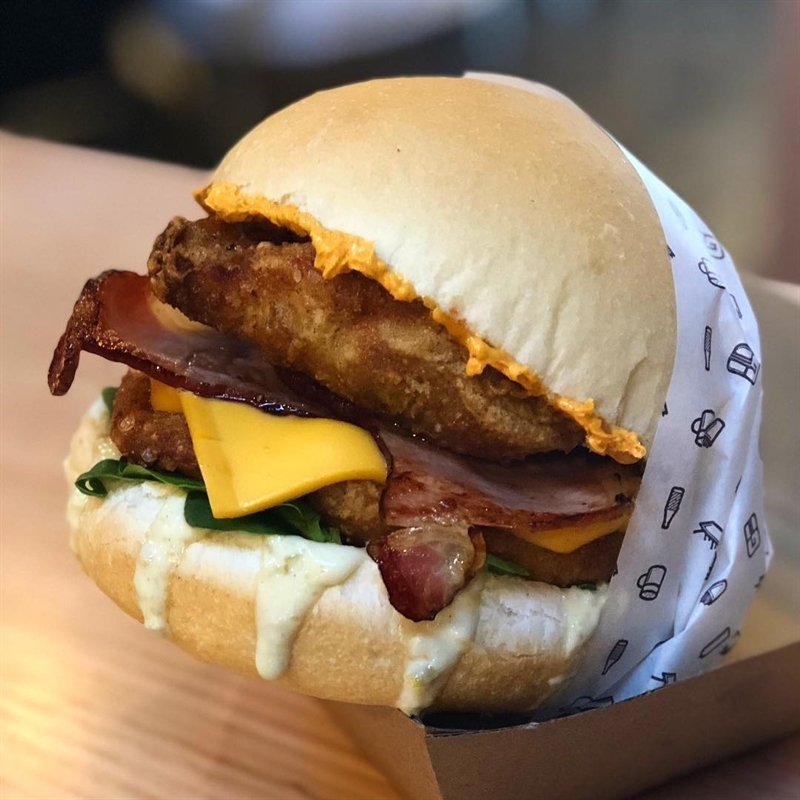 The American Burger: double fried chicken, double bacon, American cheddar, garlic butter, spinach and jalapeno aioli. 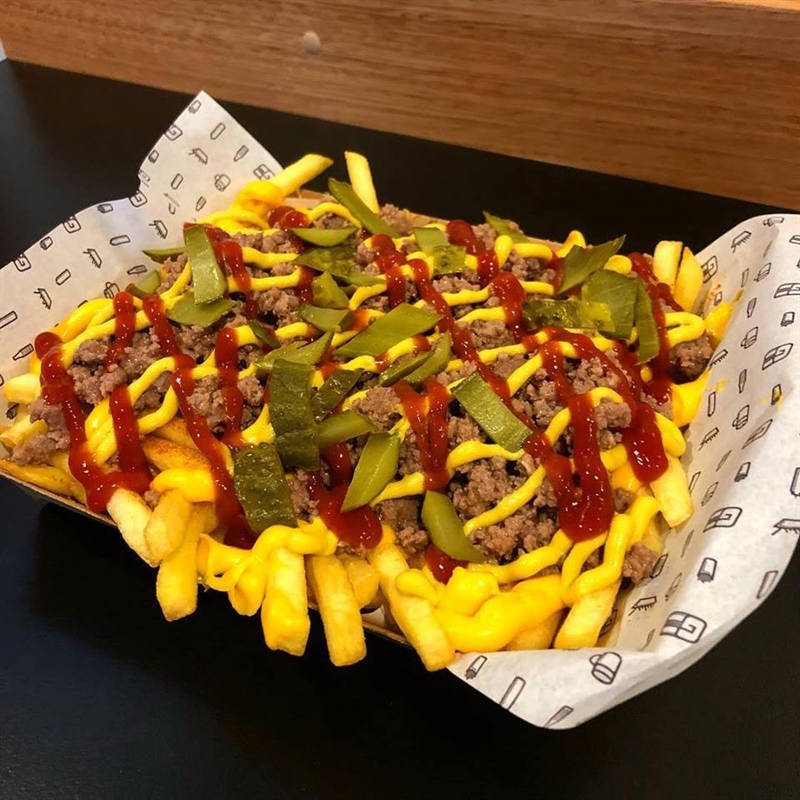 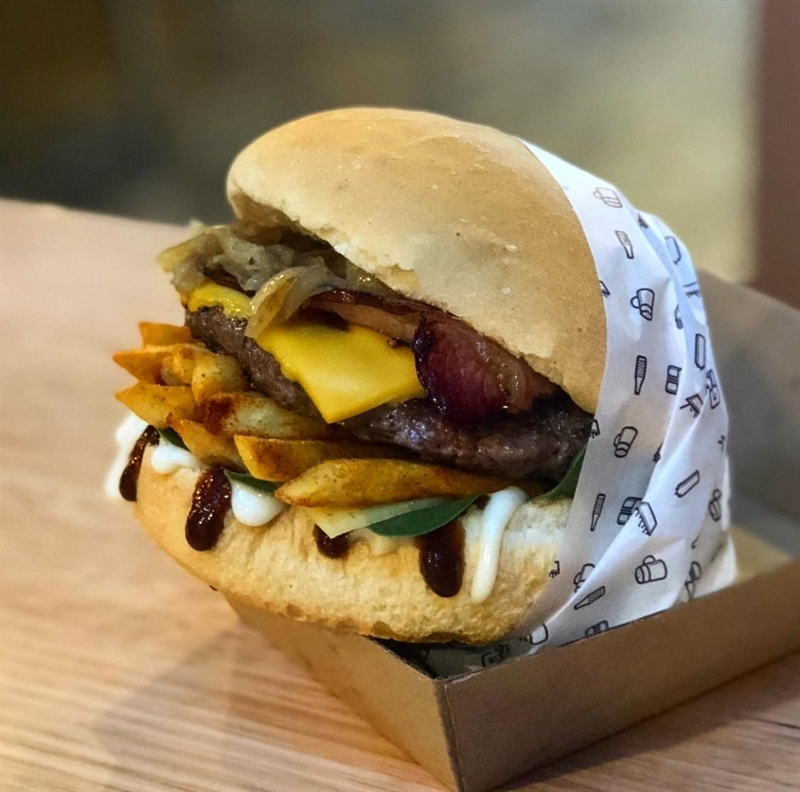 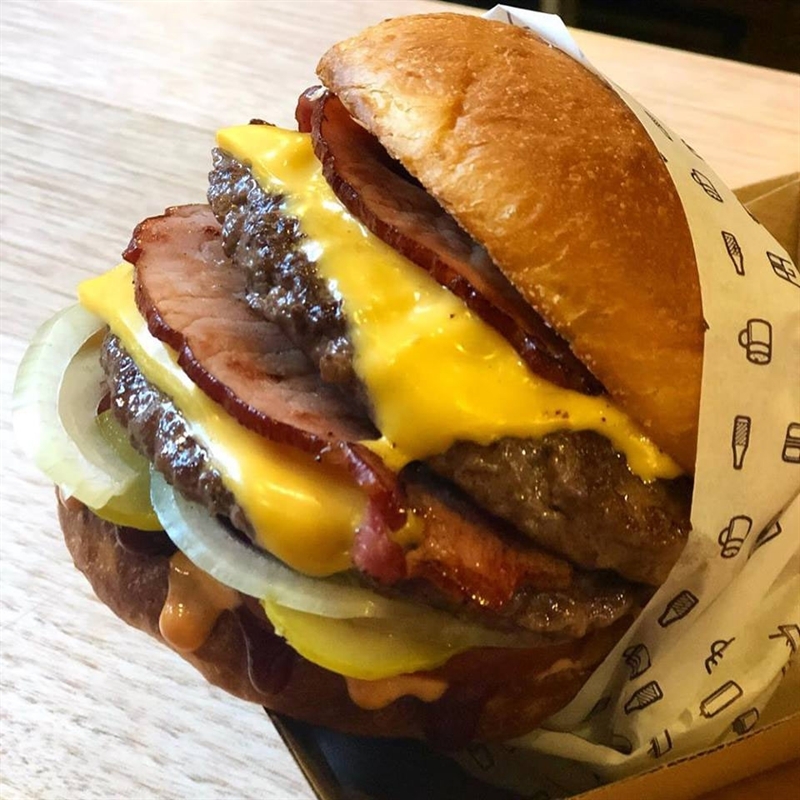 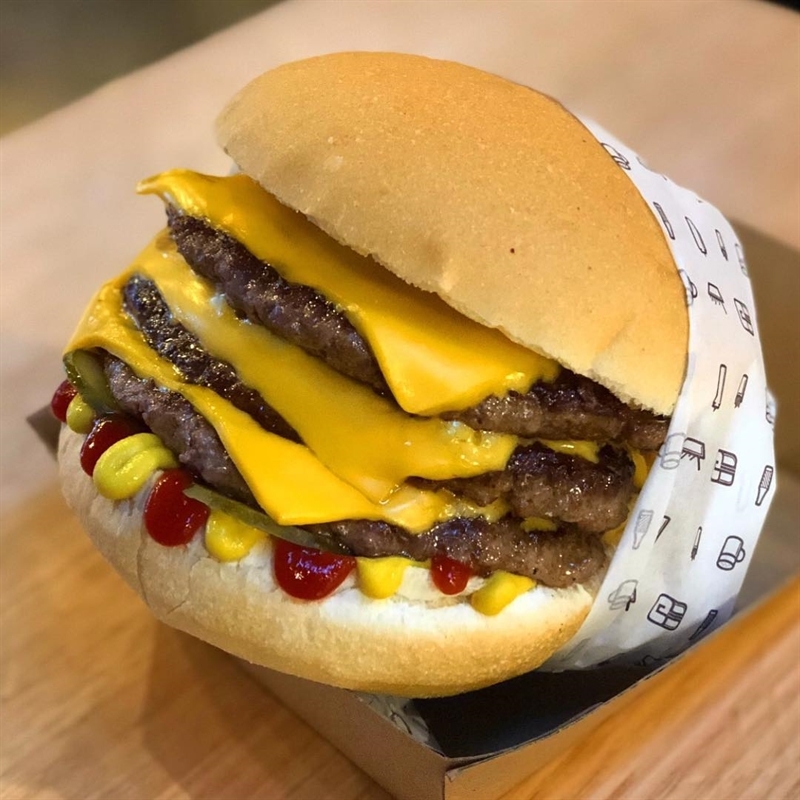 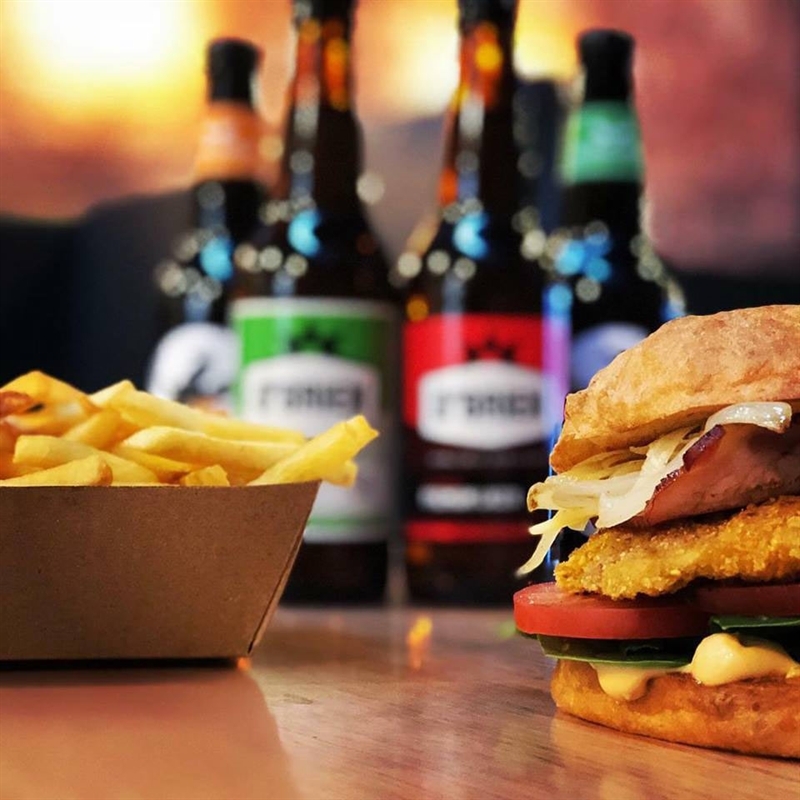 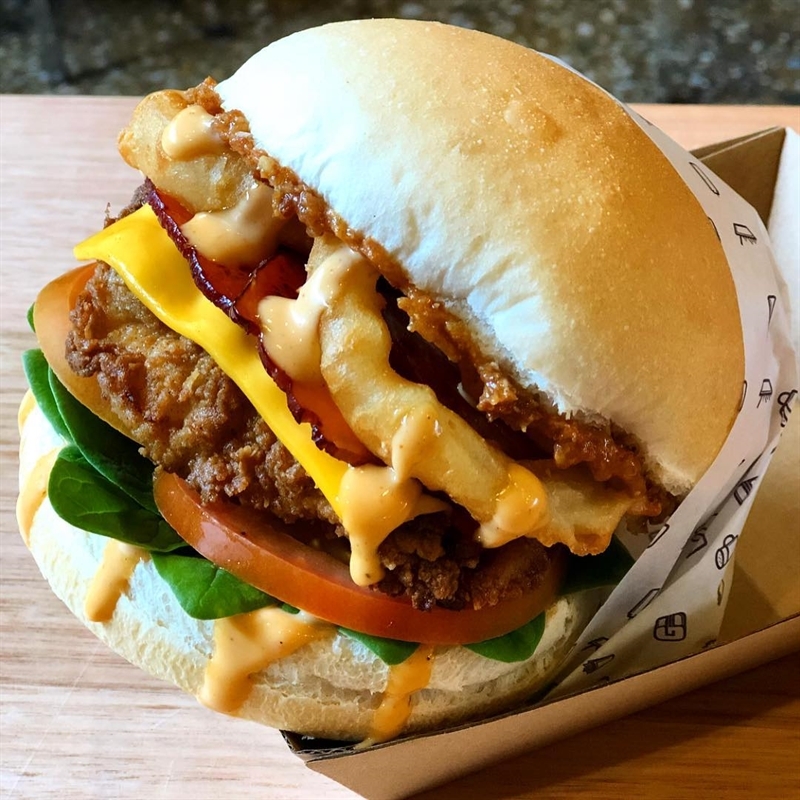 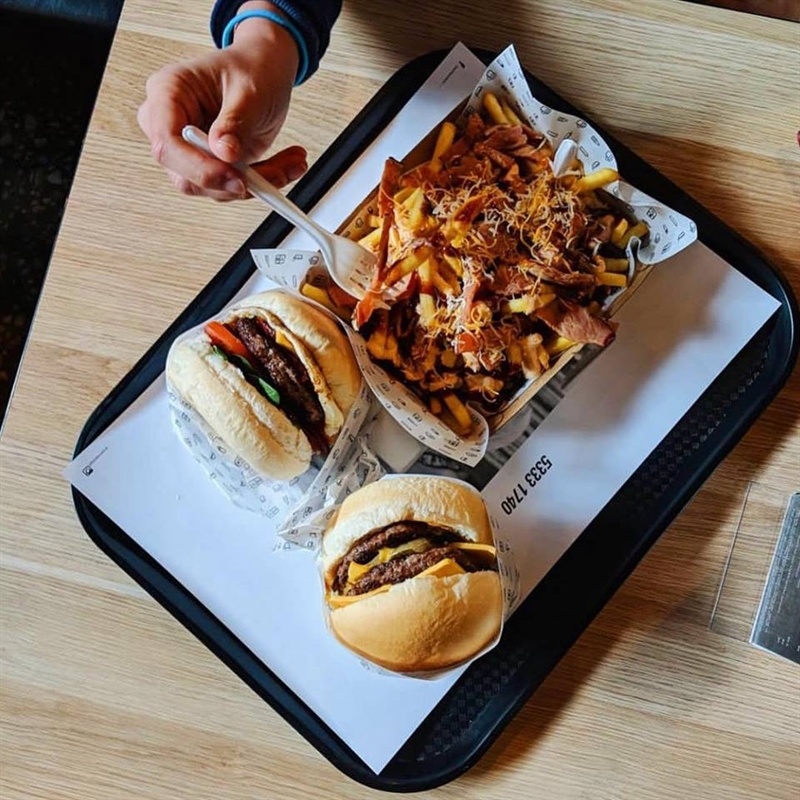 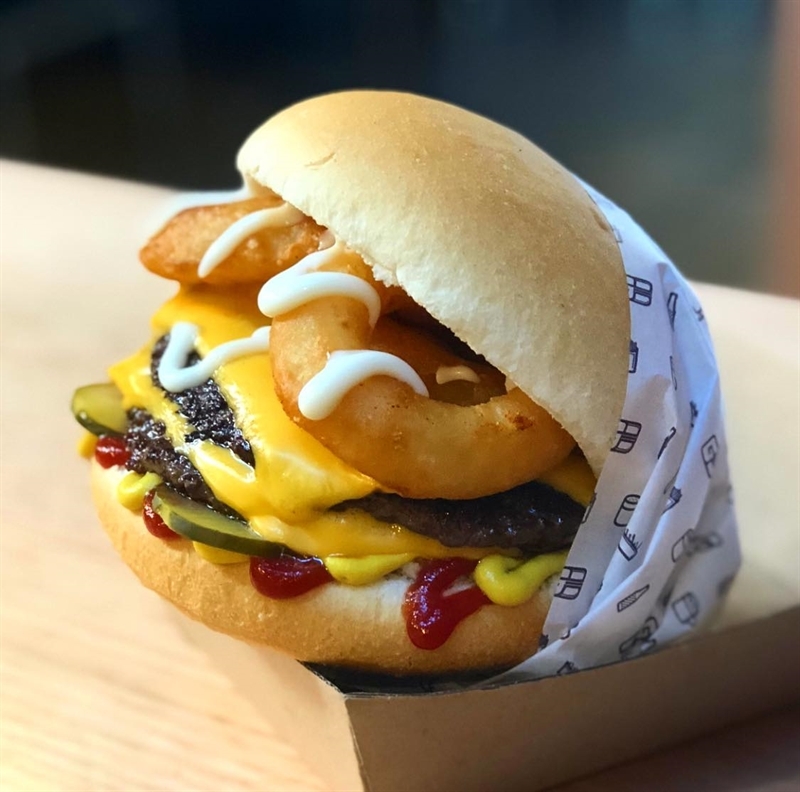 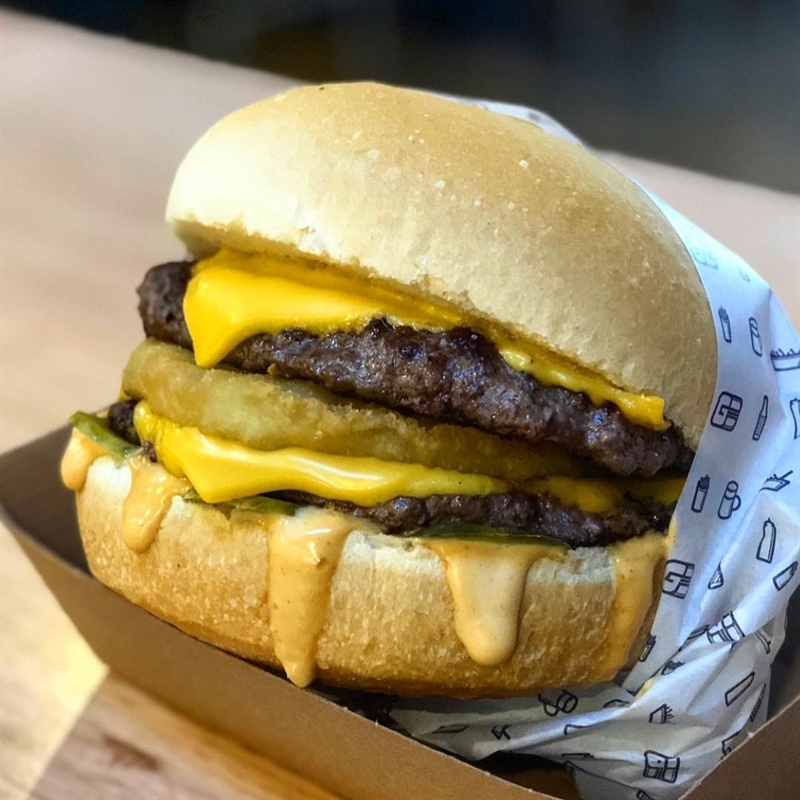 There's a new burger joint on the block in Ballarat - Griffin Burger on Armstrong Street North is setting the pace for all things sandwiched between buns! 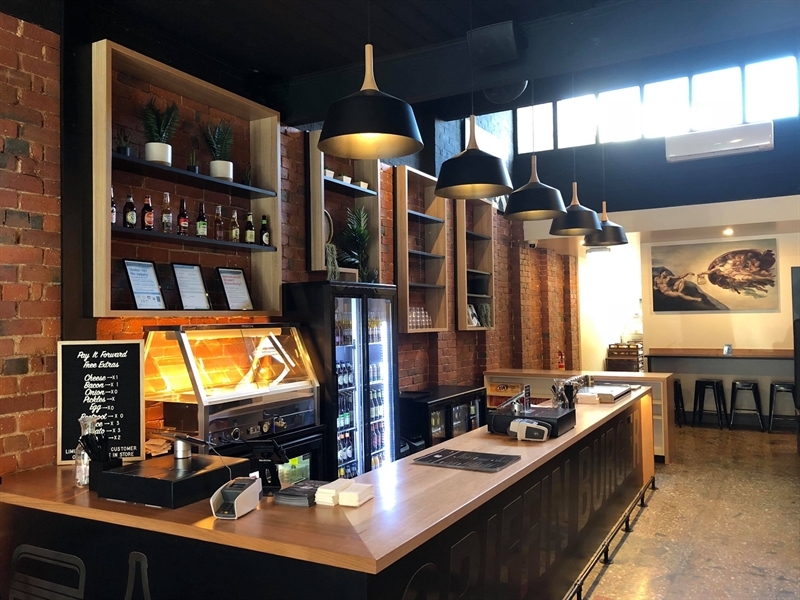 Well worn exposed brick walls, one sporting a Harley Davidson mural that has been covered over for years, and polished concrete rev up the interior vibe along with booth seating and softly glowing wall mounted lights. 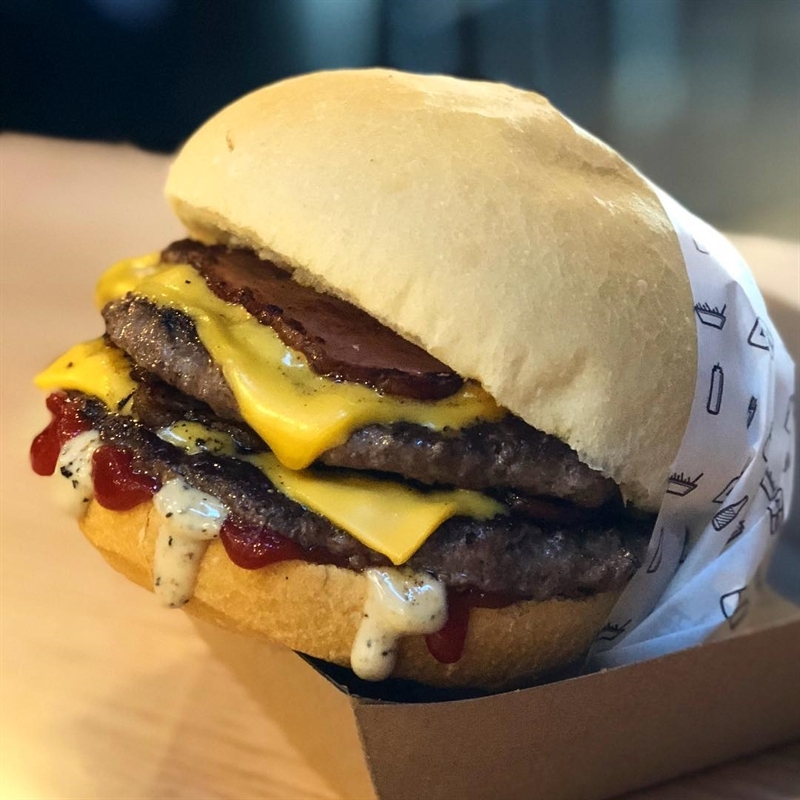 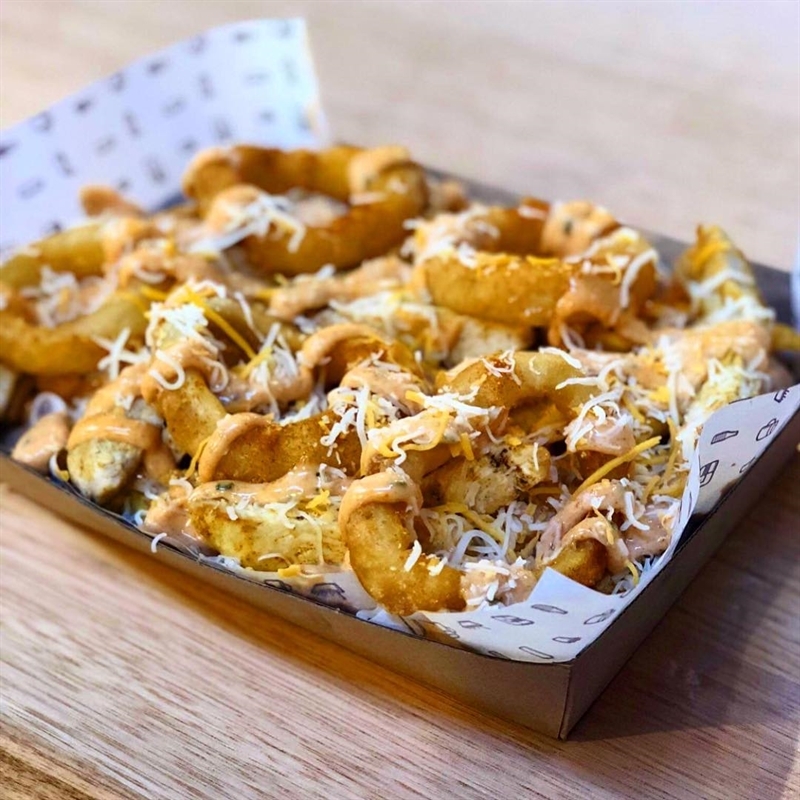 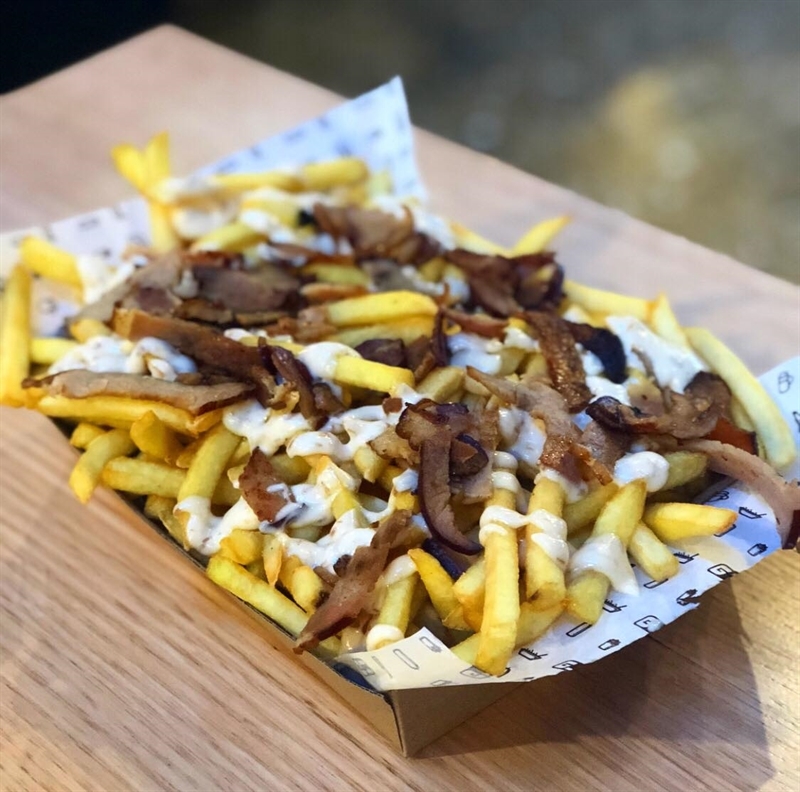 Get your hog's motor running with Kevin Bacon shoestring fries, seasoned with bacon salt, bacon and bacon aioli; then chow down on a Peppa Pig burger – double pepper crusted beef patties, double American cheddar, double bacon, pepper mayo and tomato ketchup. 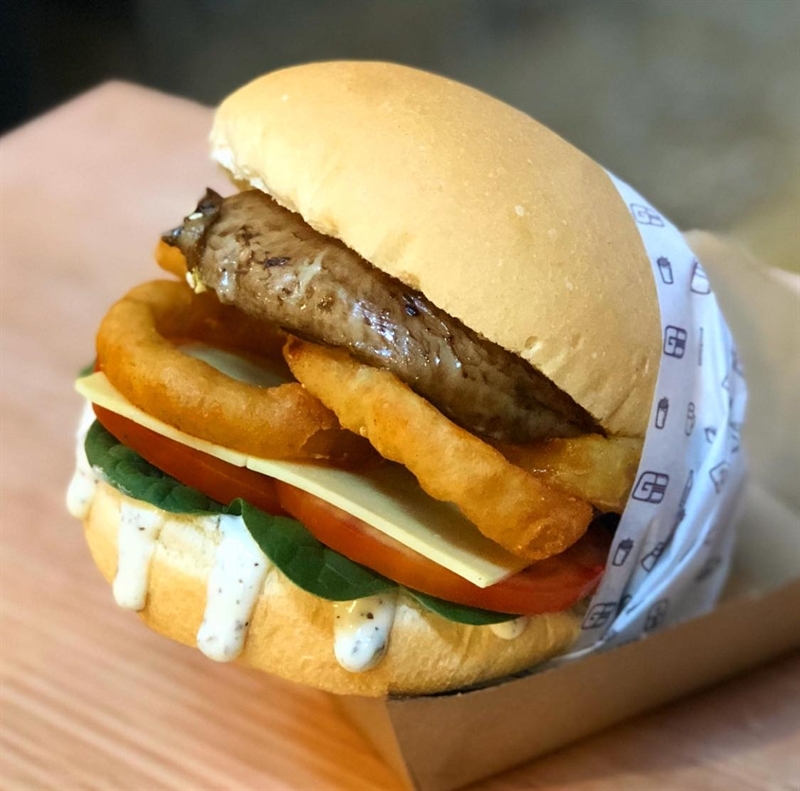 Vegetarians aren't forgotten with the super mushroom option of herbed field mushrooms, with seasoned onion rings, tomato, spinach, herb mayo and tasty cheese.